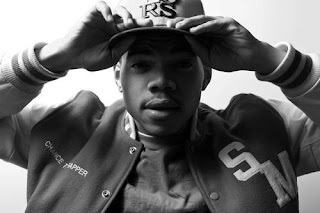 Chance the Rapper - "Juice"
Chance the Rapper has been paving his way in rap for a bit now, but his nasally sound is starting to generate quite a bit of buzz. His new song called "Juice" finds that rapper spittin' some strong lines, with a relaxing beat, and a hook that will have you yelling "Juice!" along with him. At first, his voice might deter you from giving his music a chance (no pun intended), but you quickly grow with it an realize how great his flow is. This song is off his upcoming mixtape Acid Rap, which will be out soon. For now, stream and download "Juice" below.